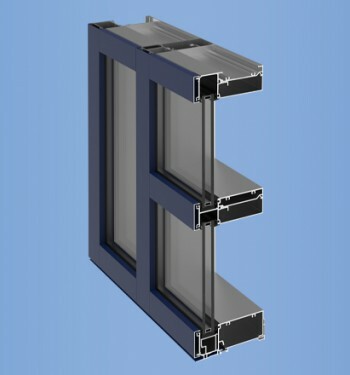 YWE 40 T is a thermally improved, front loaded window wall system designed to meet the design challenges of today’s buildings. The system is glazed from the interior of the building to reduce labor costs. Snap-on face covers enable separate interior/exterior finishes for aesthetic and/or economic reasons. Optional head and sill anchors facilitate installation into punched openings. 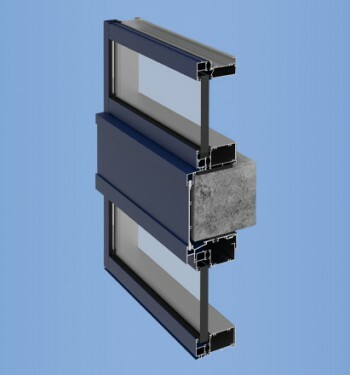 Two sided structural silicone glazing at vertical mullions is also available as an option.